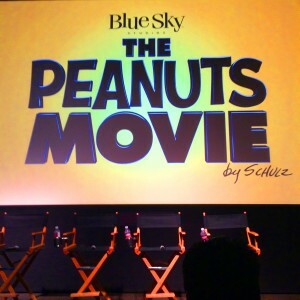 The Beverly Hills Mom » I had the most amazing experience at this early sneak peek of the Peanuts Movie. The family of Charles Schulz was there, explaining how the finding the pen line and not losing it will give respect to one of the most beloved cartoonists of all time. I had the most amazing experience at this early sneak peek of the Peanuts Movie. The family of Charles Schulz was there, explaining how the finding the pen line and not losing it will give respect to one of the most beloved cartoonists of all time.